Pathways Rehabilitation Services, LLC (PRS) is an Occupational Therapy practice owned and operated by Heather Shields, a licensed Occupational Therapist and certified Class B driving instructor. PRS is a certified driving school for in-the-vehicle training and specializes in providing pre-driving assessments, on-the-road driving evaluations, and follow-up personalized driving rehabilitation programs to those people whose ability to operate a motor vehicle may be impaired due to a medical condition or as a result of the natural aging process. Unlike other organizations offering similar services, PRS will carry out assessments, evaluations, and driver’s education in the client’s home and community in order to provide a more accurate and better service. 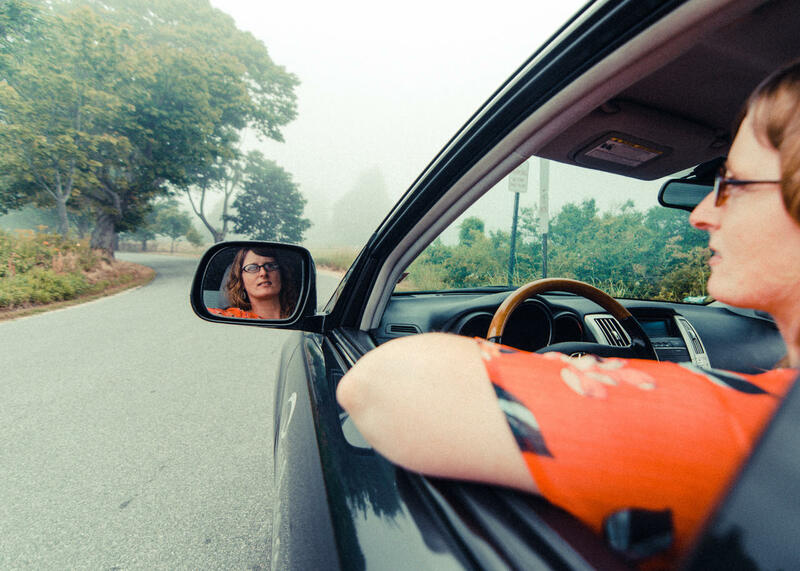 Heather’s goal is to help people feel comfortable with driving, whether it is resuming driving or learning to drive with adaptive equipment. Being able to drive gives people the freedom to live an independent life. Heather can help foster that freedom. Heather is evaluating the person’s ability to safely drive and if the client needs adaptive equipment, they will be required to take a Road Test with the BMV. The Driving Evaluation is not a replacement for the State Road Test. Heather helps prepare clients for the State Road Test and consults with the client’s physician. On a case by case basis, the State decides if the person needs a State Road Test. An order from the physician is beneficial. It should state the reason: “Occupational Therapy evaluation for a comprehensive driving assessment.” The client must have a valid driver’s license or permit. Heather will go to the client’s home within a 150 mile radius of Brunswick, Maine. Further destinations will be considered on a case by case basis. The total evaluation lasts approximately 3-4 hours, including the pre-driving clinical assessment(2 hours) and the on-road assessment (1 hour). Heather is following the OT-DORA Battery, which was developed to assess cognition, perception, behavior, physical, and sensory skills related to driving. The tests are first given in the clinic or client’s homes and are used to screen out clients who are found unsafe to take the on-road assessment. The OT-DORA also helps to predict areas of concern when the person is behind the wheel. People who are deemed safe to drive or are questionably safe to drive will then go out in the vehicle to drive. The BMV is looking for the client’s ability to manage in traffic. Their requirements are to make lane changes, make left turns in traffic, ensure the client is looking over their shoulder and following traffic safety. The BMV driving test is approximately 22-25 minutes. PRS on-road assessment lasts 45-60 mins. The client will be driving in a dual-equipped evaluation vehicle, including an instructor’s brake and mirror. If the client needs adaptive driving controls, PRS offers 2 types of hand controls, a spinner knob, a crossover switch, a steering wheel extension, and a left foot accelerator. The client will have adequate time to familiarize themselves with the Toyota Camry and hand controls, if applicable. They will then be advanced from their neighborhood to areas where they typically drive. If the client drives in moderate to heavy traffic, the evaluation will include these roadways. When the client has finished the drive, Heather will sit down with the client, their family and/or friends to discuss the results and her recommendations. A typed evaluation will be sent to the referring source, the physician and the BMV. Who should refer a client? Currently insurance companies do not consider driving as a medical necessity and do not pay for this service. Who does pay for this service? It is primarily private pay.